With the news full of tales of woe regarding businesses going into liquidation, particularly in the retail trade, prospective sole traders and small business owners may be feeling reluctant to put their business plans into action. However, business liquidations can present an opportunity for small businesses or individuals looking to trade on eBay, online or on market stalls or in small outlets. When a business folds it is likely that there will be liquidation stock available for purchase. 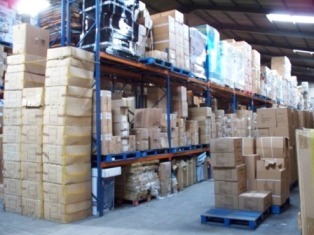 Wholesale Clearance has the buying power to snap up liquidation and bankrupt stock in large quantities and at low prices. This then means that we are able to pass on this stock, at great savings, to sole traders or small businesses in the retail sector. There’s no need to worry about compromising on quality. Wholesale Clearance only deals in quality items, often stocking well known designer and high street brands. These instantly recognisable, quality brands are sure to prove popular with customers looking to get a bargain online or on the markets. Wholesale Clearance is also a flexible wholesale supplier, and chooses not to charge joining fees or enforce minimum spend amounts like many other wholesalers. This makes Wholesale Clearance the perfect choice for solo retailers who may not have the funds to buy in bulk. Of course, Wholesale Clearance does offer bulk sales, including great deals on pallets. This is, however, in addition to job lots of all sizes, so there’s a purchasing option for every buyer’s budget. There’s an old saying that if a bargain looks too good to be true then it probably is. Not so at Wholesale Clearance UK. Offering genuine low prices on quality goods, Wholesale Clearance UK is a one stop shop for all retail needs. Ankle boots have usually been fashionable and they also present a slight variation in length. The calf-length and the knee-length boots are also incredibly stylish. There are also the thigh-length riding boots that were originally worn by males to guard their legs and that were later worn by girls as well. They are deemed to be incredibly sexxy and provocative.WICKLOW RUGBY CLUB hosts a fashion clearly show on Friday, November eleven.